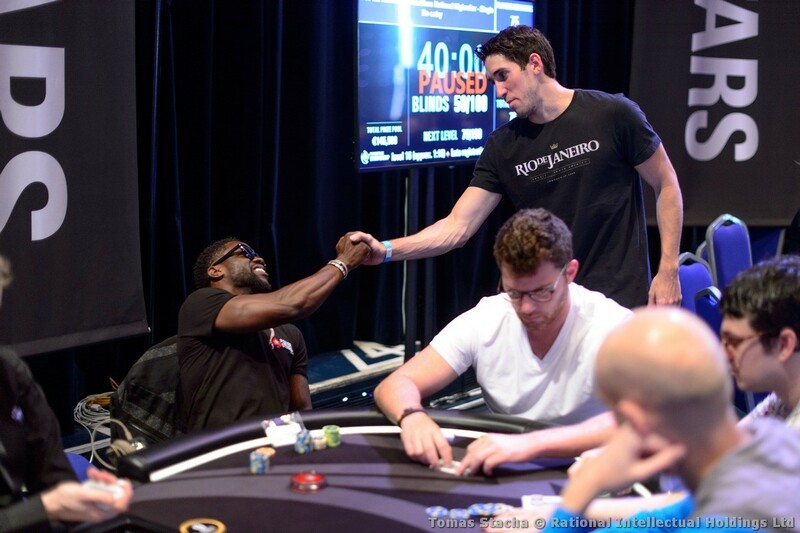 The one and only @kevinhart4real is partnering up with @PokerStars to make poker fun again! 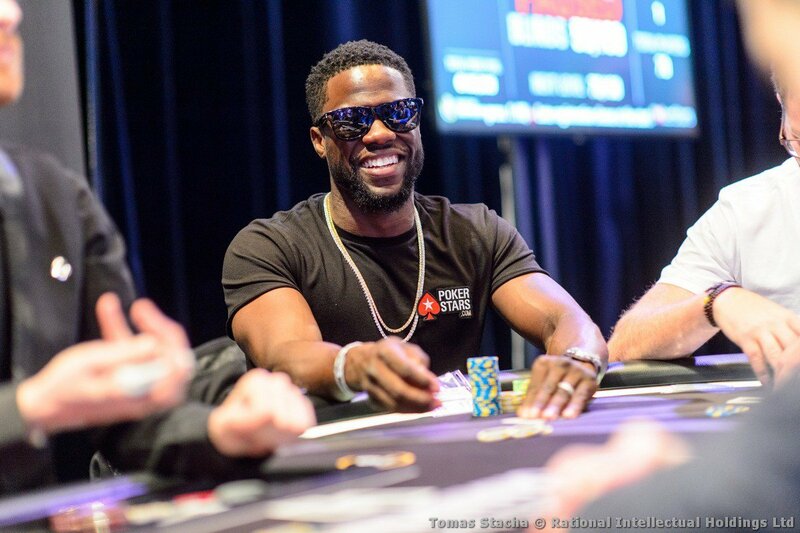 After having played the PokerStars Championship Bahamas back in January, actor and comedian Kevin Hart returned to the poker felt in Monaco for the PokerStars Championship presented by Monte Carlo Casino®. He arrived by helicopter and played the €100,000 Super High Roller, and then he went on Facebook Live and hinted he had something big to reveal. Hart, accompanied by PokerStars Team Pro Daniel Negreanu, announced at a Saturday morning press conference he was partnering up with the world's biggest poker site. Why? To make poker fun again, he said. "I really do believe in bringing people closer together," he said. "I love the fact that poker is a game that can take people all over the world and sit them down at the table and give them the opportunity to engage, to converse, to get to know each other and walk away with relationships they never knew they could have. "I love to live, love and laugh. I want to bring this energy to the game of poker." "I love to live, love and laugh. I want to bring this energy to the game of poker. And when I do this, poker will be elevated." Hart has played the role of comic relief at the tournaments he played. Negreanu, though, said it isn't a role Hart is playing but just his personality. Hart hinted at having some great ideas to liven up the game, but wouldn't say too much just yet, and Negreanu quickly added that his involvement and energy was enough to spark some new interest in the game. "I am going to make poker fun, and working with PokerStars will give me the poker platform I need to do this," Hart said. "I'm glad there are all these poker pros here who I can compete with and take their money. But the best thing about poker is that anyone can play it, whether you’re making millions like Daniel Negreanu or just sitting around the kitchen table playing for coins." No matter what his official role, Hart's light-hearted approach to the game will make him a welcome addition to the PokerStars team. "We take poker seriously because that’s our business," said Amaya Vice President of Corporate Communications Eric Hollreiser. "Kevin Hart makes everything he does fun because that's his business. Kevin is a maverick and we’re thrilled to work with him to take poker to new audiences around the world and have a great time doing it." Hart has been playing poker for a long time, though mostly in games with his friends. Recently, Instagram-famous poker player Dan Bilzerian posted a photo about playing with Hart. The Hollywood star indicated the game with Bilzerian and others was a lot of fun, but also a bit outlandish. Dan [Bilzerian] is quite the character. He's a fun guy. "We have a fun gambling game," Hart said. "Dan is quite the character. He's a fun guy. He's a loud guy, so that conversation you can imagine is a crazy back and forth conversation." "Those games are heavy ego contests," Hart added with a big smile. "That's a game where you hear some of the most outlandish stuff that I've ever heard. I can't repeat those conversations here." The private home games with players like Jean-Robert Bellande and Bilzerian are something completely different than the professional poker tournament environment here in Monaco. But that's what attracts Hart to the game as well — he likes the diversity. Hart is set to star in a televised cash game taking place here in Monte Carlo that will air at a later date. In the game, he'll battle with Liv Boeree, Daniel Negreanu, Faraz Jaka, Charlie Carrel and qualifier Mila Monroe. The way Hart sees it, his mission aligns with Negreanu's. Both men bring an abundance of energy to every poker table they're at, encouraging the masses to join in the game they love. "I want to be the Eddie Murphy to his Nick Nolte, the Chris Tucker to his Jackie Chan, the list can go on," Hart said. "Bottom line, I want to help him do what he's already been doing, but on a higher level."